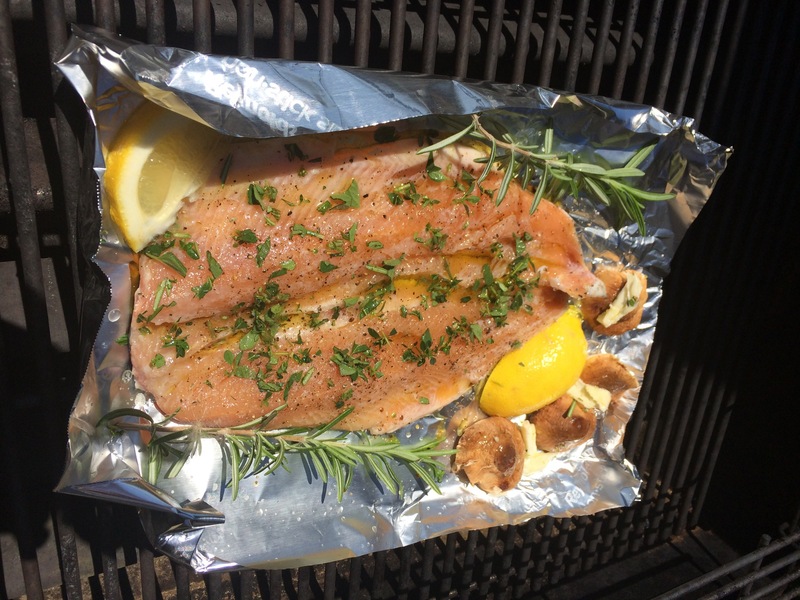 I keep buying fish to grill at night and then end up not cooking it because I’m just too, well I hate to say lazy, but sometimes it just feels like a lot of work at the end of the day. 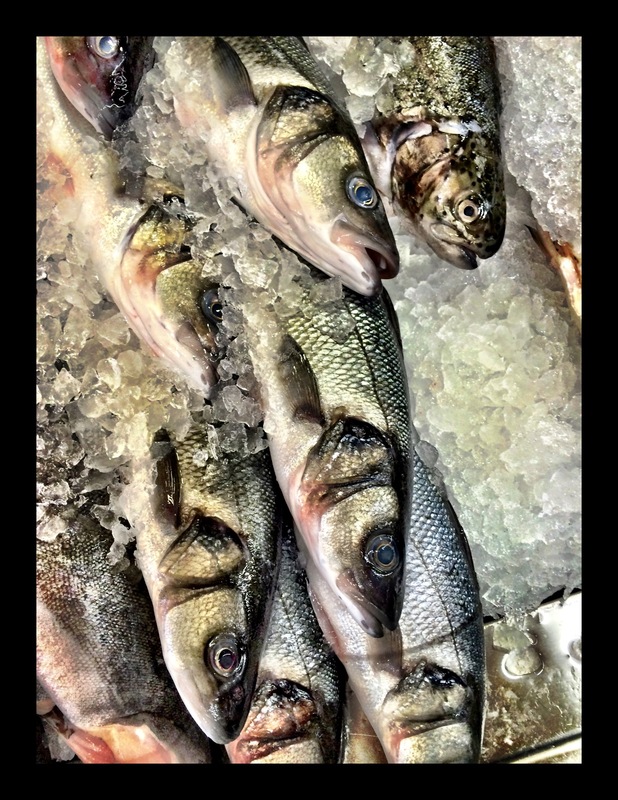 Yesterday I went to Whole Foods and scanned the fresh fish section. I never thought about buying a “whole” fish, but it’s the way to go if you want fresh. The first time I did this I took the whole fish home and it was a bit challenging to weed through everything to the meat. The next time I asked the guys at Whole Foods if they would butterfly it and remove the head and tail and they did. It opened a new world to me. Hopefully this will inspire you to try this too! 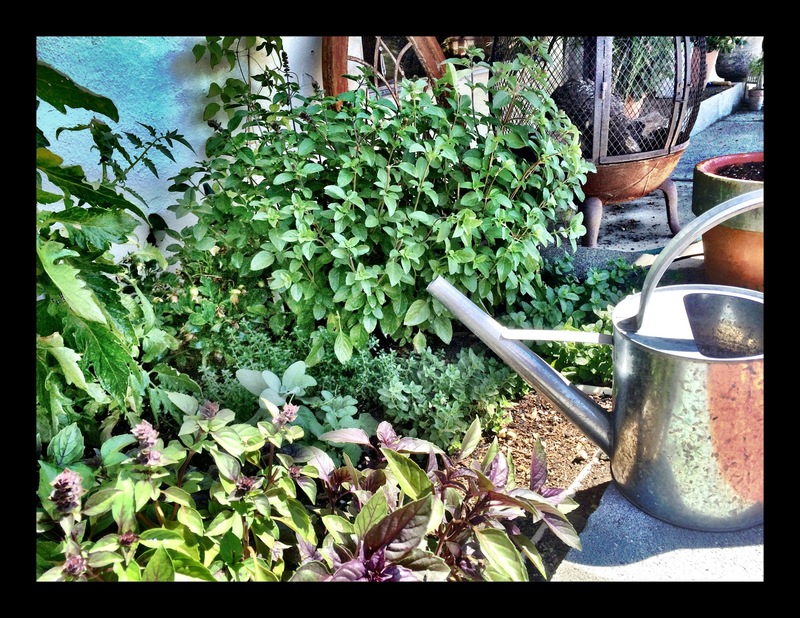 I grill it with olive oil, fresh ground pepper, coarse salt, lemon juice and herbs from my garden. Put it on the grill and you’re done! I added shiitake mushrooms on the side with butter and seasonings if you’re wondering what those are 😉 I had this for breakfast and will have it cold on a salad later. Let me know if you try it and especially if you have it for breakfast. Serve it with a poached egg and bacon. PS this was trout but there are many others to try. 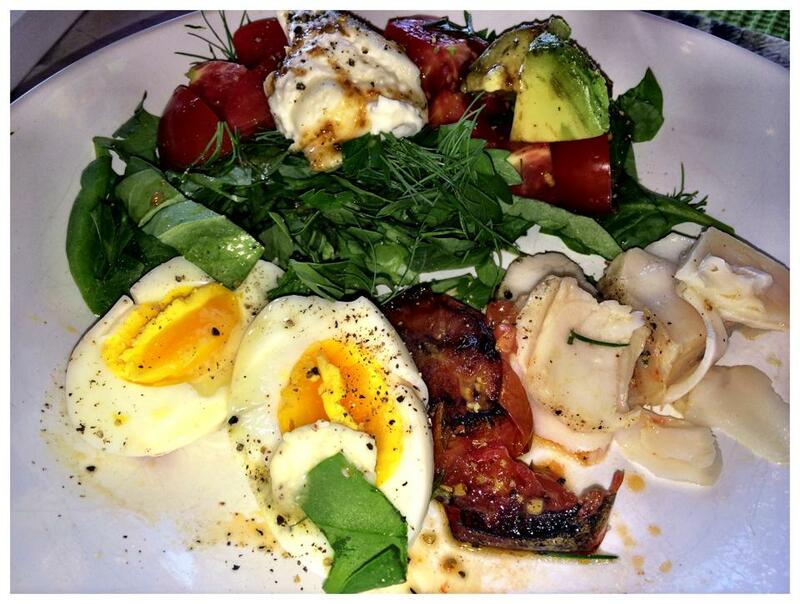 The final breakfast plated: Grilled trout with poached egg, grilled tomatoes, spinach, avocado and Burrata cheese. Categories: Travel into My Kitchen! 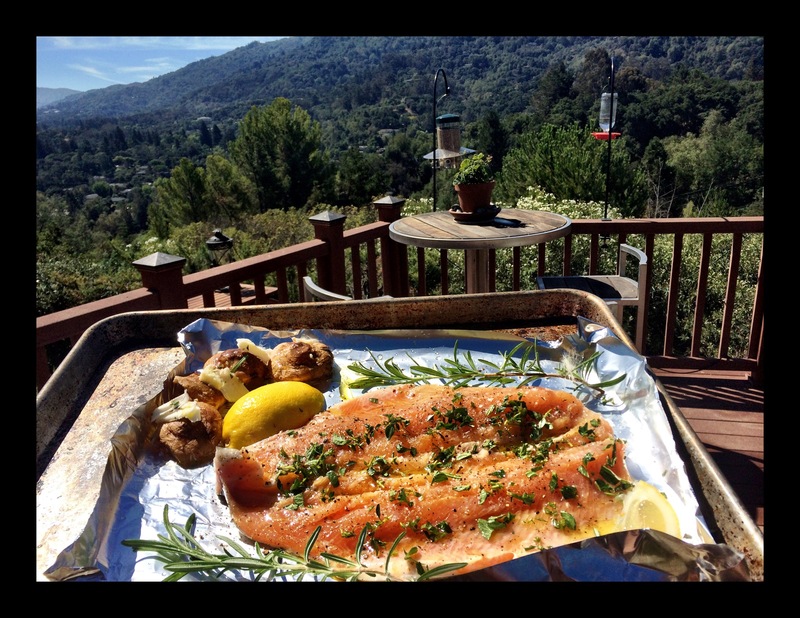 | Tags: California, cooking, fish, grilling, trout, whole foods | Permalink. I love fish for breakfast, but it’s usually smoked fish. I have no idea why fresh fish isn’t more common for breakfast. Add a potato fritter and some poached eggs. Yum!